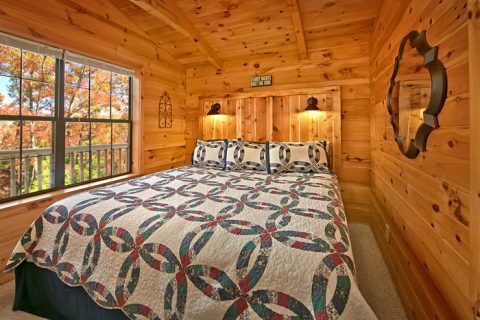 If you’ve been looking for a cabin close to Dollywood for a family of four, then "Cloud 9" may be your next vacation destination! 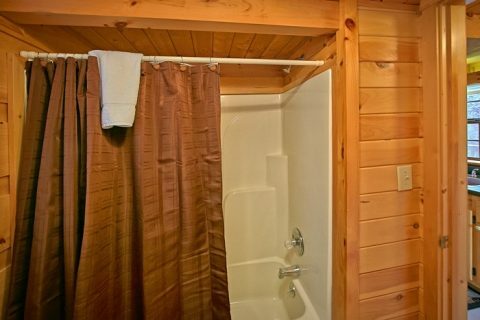 "Cloud 9," a 1-bedroom cabin close to Dollywood and Gatlinburg, places guests 5 minutes from Dollywood and only 8 miles from Downtown Gatlinburg, home of Ober Gatlinburg and the Gatlinburg Space Needle. 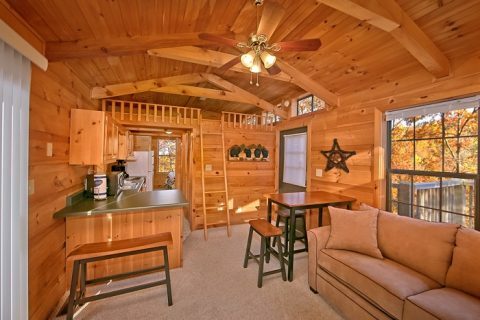 This beautifully furnished 1-bedroom Pigeon Forge cabin will have everyone on "Cloud 9" with all the comfort and relaxation it offers. 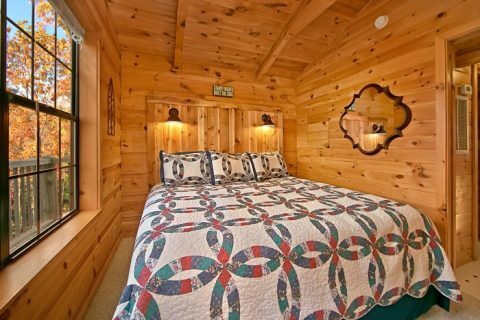 Relax on your king size bed while watching television. 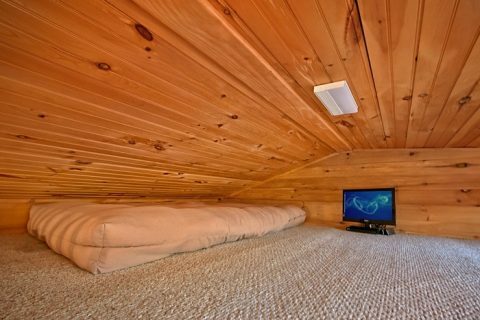 The children are bound to enjoy the custom loft fit for a kid with child-size mattress, television, and DVD player. 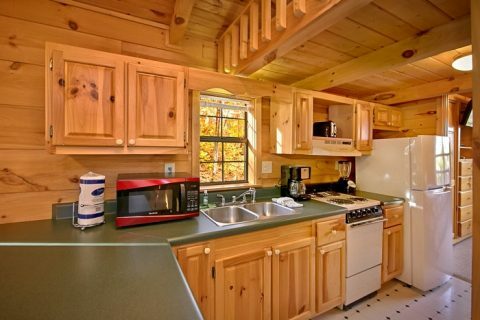 Before heading out on an adventure, enjoy a hearty breakfast prepared in this cabin close to Dollywood's fully equipped kitchen. When meals are done, set the dishes in the dishwasher and head out for a day of adventure! 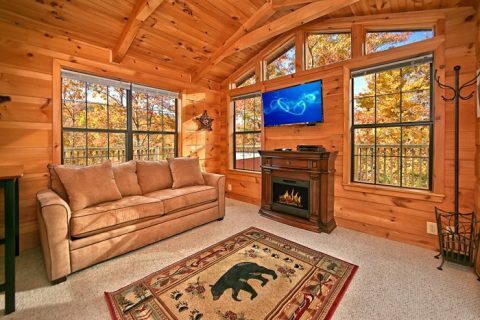 Returning to your 1-bedroom Pigeon Forge cabin after a day full of activities, guests will enjoy lounging in the living room in front of the electric fireplace while watching the 40-inch, flat-screen television. 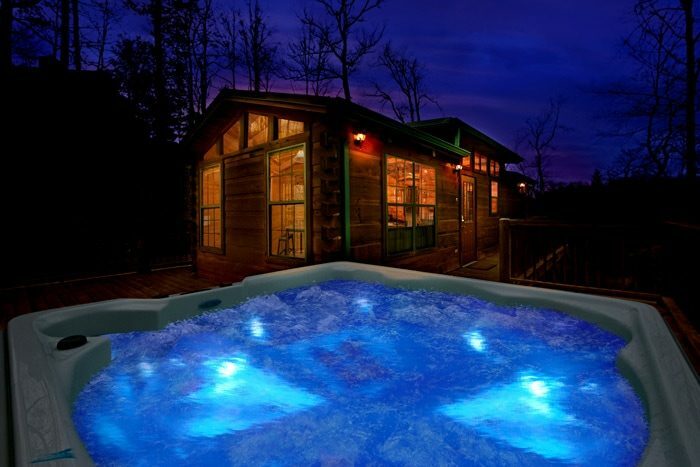 Outside, family members can enjoy a BBQ meal hot off the charcoal grill or take a relaxing dip in the year-round hot tub. 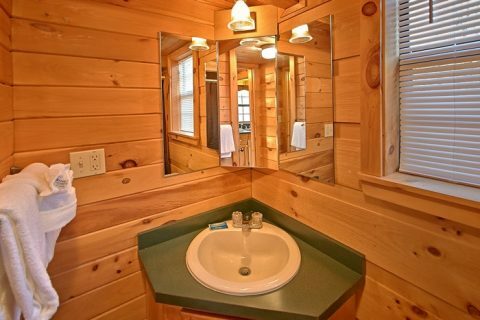 Start your family's escape to the Smoky Mountains when you book your cabin close to Dollywood cabin online for an immediate Online Cabin Discount with Cabins USA Gatlinburg!